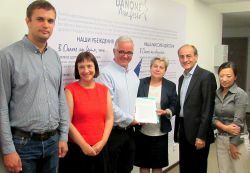 The IUF-affiliated Food and Services Union (ACV-CSC) successfully negotiated a local agreement with Danone Dairy Belgium on the basis of the IUF-Danone Agreement on Sustainable Employment and Access to Rights. The local agreement provides Danone Rotselaar dairy plant workers with a concrete list of functions which can and cannot be done by agency workers, particularly for safety reasons. As a direct result of successful local negotiations by the IUF-affiliated FNV based on the IUF-Danone Agreement on Sustainable Employment and Access to Rights, 45 long-term contract workers have moved onto permanent contracts at the Danone/Nutricia research center in the Netherlands. Danone has adjusted its executive committee structure to “promote efficient and agile decision-making against a backdrop of fast-moving industry trends,” the company said. The new streamlined executive committee will consist of three businesses and two functional leaders under Mr. Faber’s leadership. Danone veteran Franck Riboud is stepping down as chairman, with Chief Executive Emmanuel Faber taking on both top roles in a move the French group said would ensure continuity in its strategy of focusing on the health-food sector. The change takes effect at the start of December, with Riboud staying on as honorary chairman. Danone is reviewing all facets of its dairy business in Brazil in a bid to try to improve its performance, CFO Cécile Cabanis has said, after the Activia maker saw a double-digit decline in its sales in the country during the third quarter. Danone announced a new cost-cutting plan on February 15, at its full-year group results presentation. The plan, called "Protein", is aimed at reducing costs by EUR 1 billion by 2020. 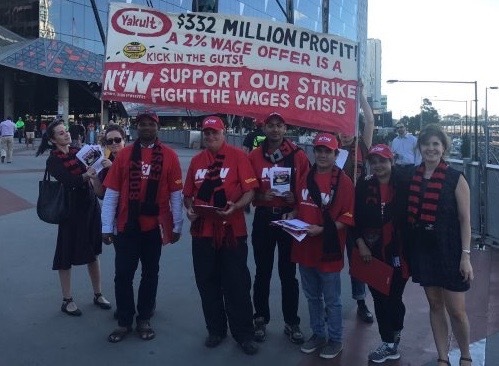 IUF affiliate Tekgida-Is has signed a collective bargaining agreement with Danone Hayat waters in Turkey. The agreement covers the period January 2016 to December 2017. 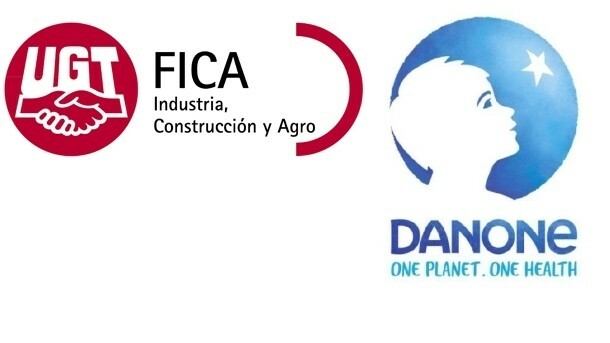 The IUF-affiliated Food Industry Employees Union (FIEU) in Malaysia signed the first ever collective bargaining agreement at Danone Dumex on March 16 2016. This came after the concerted effort of FIEU built on the IUF's "Organize, Fight and Win" mandate. Danone has opened an infant formula processing plant in Germany that will process around 90,000 tonnes of formula – or 150m packs – to be exported to 70 countries worldwide. 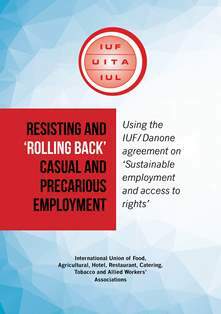 The IUF and the French-based food products transnational Danone have signed a ground-breaking Agreement on Sustainable Employment and Access to Rights built around a joint commitment to promote "permanent, direct employment as an essential foundation for a sustainable business anchored in respect for human rights." Brookside Dairy, East Africa’s largest processor with Danone as a 40% partner, has purchased Ugandan dairy SALL (Sameer Agriculture and Livestock Limited).